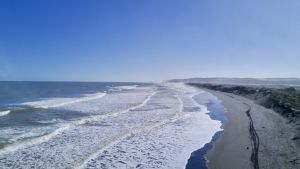 The safe place to swim is down the south end of Port Waikato at Sunset Beach, where the Surf Life Saving Club patrols the beach. The club has guards on duty each weekend from Labour Weekend through to Easter, and right throughout the week during school summer holidays. 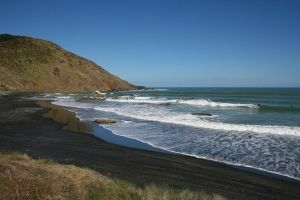 The rugged West Coast is known for its pounding surf with treacherous rips and strong undertows. Take care when playing in the water, and whenever possible, swim between the flags in front of the Surf Life Club. For a tamer swimming experience, the beaches of the river mouth at the north end of town are an ideal paddling area for your littlies. 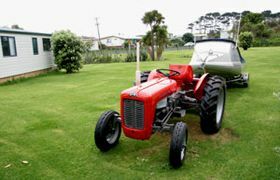 It's a great place to chase the crabs or dig for pipis (shell fish) - all essential parts of a true kiwiana beach holiday experience. 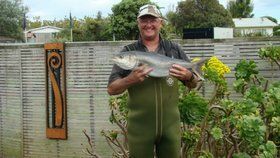 Port Waikato is perfect for both diving and fishing. The estuary of the river mouth is also an ideal spot for a splash and fish in your dingy, paddle in your canoe, or for catching the breeze in your sail boat. There is a boat ramp at the Yacht Club beside the Wharf Store or beach access at Sunset Beach. Boat parking could be arranged during your stay here. 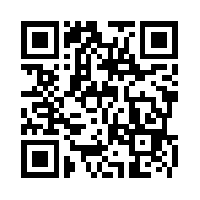 Please check with management first. 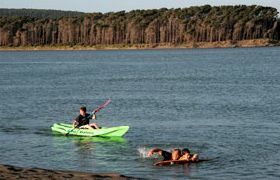 Enjoy exploring the Port Waikato water ways in your canoe/kayak or if you like a faster pace bring your jet ski. If the surf break at sunset beach looks a bit intimidating, then head for the calm waters of the river mouth for loads of safe family fun. 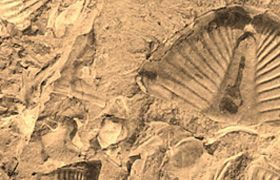 Port Waikato is a fossil fossickers heaven with many fossils to be found around the Ports cliffs and coastal rocks. So grab your safari hat and your paleontology chisels (a baseball cap and a blunt tent peg should do the trick too) and discover some Jurassic history. 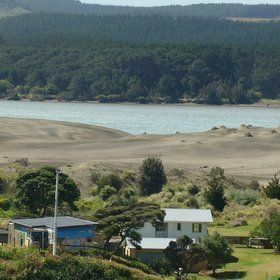 Port Waikato has acres of sand dunes just waiting for you to explore. These expansive dunes are just one great big beautiful Port Waikato playground. So grab your sand shoes, head for the hills and tumble and romp your way through the wind swept grassy knolls to the wild ocean beyond. The sand dunes entrance is an easy five minute stroll from the camp ground.